Trusted and reliable, dentures are a popular option for patients who have lost multiple teeth. At Northway Dental Practice, we offer full and partial appliances which you can wear with confidence. Dentures are created specifically for you, so the fit and function are designed to meet your individual functional and aesthetic needs. Our team will work closely with you to create an appliance that feels completely comfortable and looks exactly as you wish. Before providing you with your long-term appliance, we will create a replica that you can try on and test for fit and comfort. 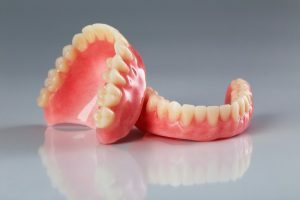 If you are a first-time denture wearer, your dentist will show you how to remove and clean the appliance and answer any questions you may have. To book your denture consultation, please click here or call 0151 526 2701 to book now.